Kevin and I invested in good gear to begin this trip: Surly bikes, ortlieb panniers, the famous Brooks b17 saddle, and of course, Schwalbe Marathon Plus tires. 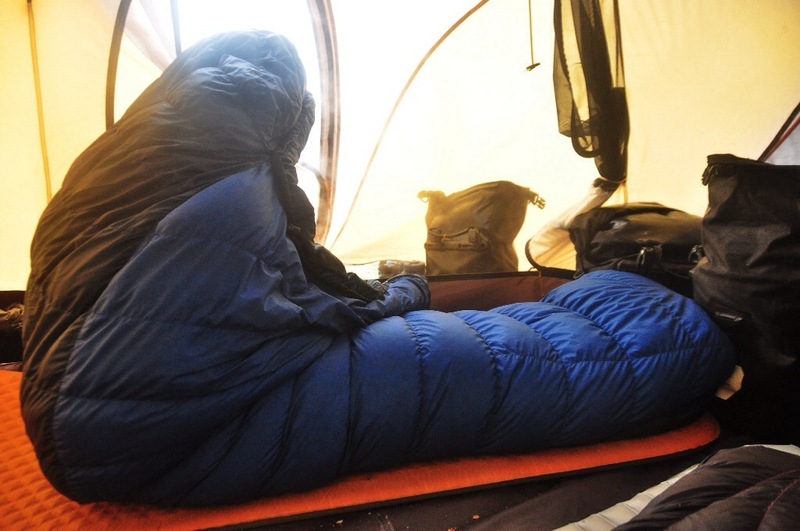 We both have therm-a-rest sleeping pads, and down sleeping bags which are rated for -15C. Even so, after seventeen months, some of our gear needs to be replaced, especially before we begin the next year of our tour through some of the roughest roads as we follow the Andes through South America. One of the first questions we are often asked is “how many flats have you gotten this trip?” One, on a different set of tires, which means that throughout the last 11,000km on my Schwalbe Marathon tires, I haven’t had a single puncture. Not one. And neither has Kevin. Though they still have a bit of life left in them, we have decided to replace our tires here in Istanbul in order to start the next leg of our journey with tires which will last us until we get home. 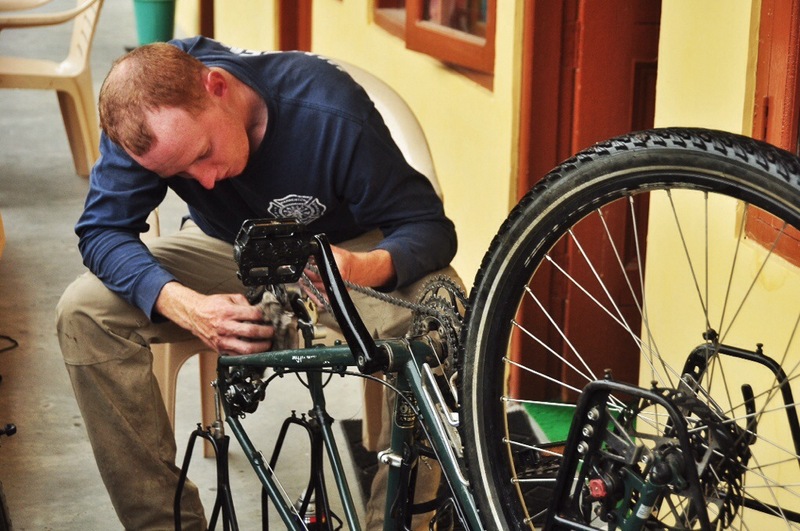 Besides our tires, we are also going to replace our chains, break pads, and cables (regular maintenance for any cycle tourist), as well as my handlebars. Though the drop bars have worked well for me, Kevin finally convinced me to change them out for handlebars which will give me more control, especially on mountains dirt roads. I’m going to be replacing them with butterfly handlebars which are specific for touring as they have so many different hand positions. So how are we getting all of these things to us here in Istanbul? My brother is bringing a whole lot of it when he comes for Christmas (from my mom, we have been ordering things through her in Oregon), and besides that, we will be ordering a bunch of stuff online to have sent to our wonderful cycling host here in Turkey! For more info about our gear, check out this section which I wrote a while back, and to learn about how a simple stick is one of our most useful items, click here! 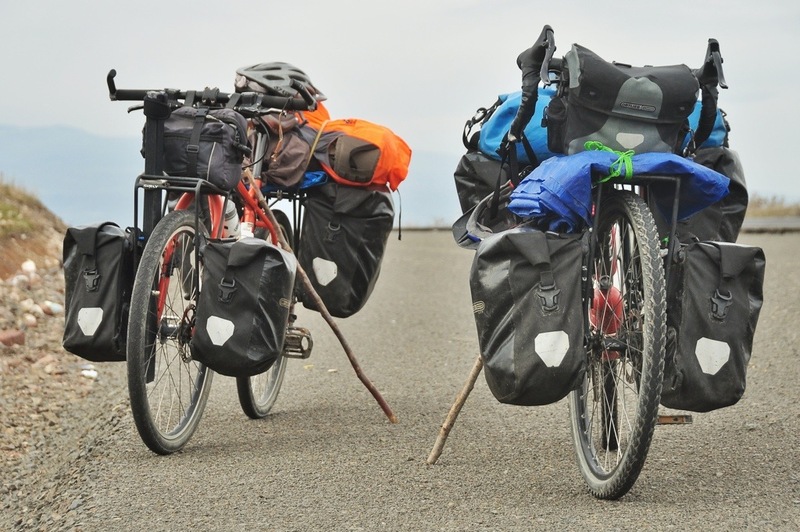 This entry was posted in Turkey and tagged cycle gear world tour, cycle surly tour, gear, replace gear on road by The Wandering Nomads. Bookmark the permalink. I totally agree with investing in good quality equipment/gear/clothing. Totally worth the initial cost as you don’t keep having to re-purchase cheaper models. PLUS having the proper equipment means a better experience: the whole point of even needing to obtain possessions, right?! Yes! I think it’s worth it as well. MIght as well pay for something once rather than bad ones three times! I would suggest you take very good care about your weight ( over weight ) as you fly out of Istanbul. It can be VERY pricy! 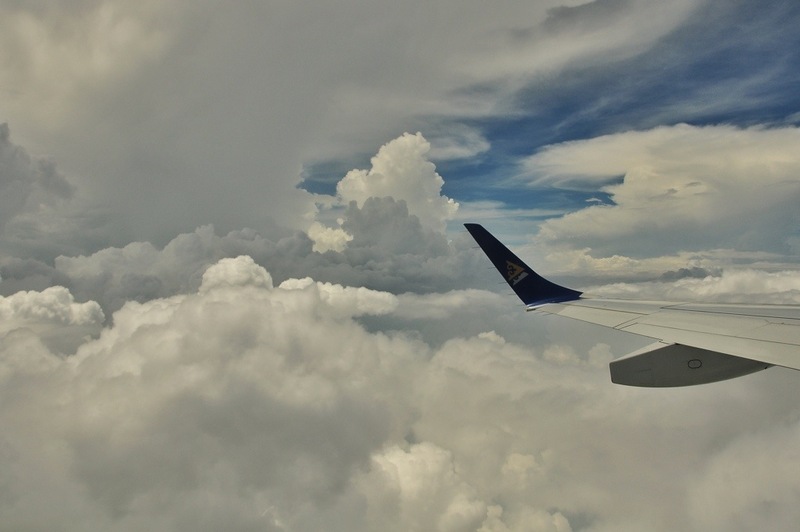 Get information direcly from the cie your flying with, not only from the internet or a agency. Thankfully my flights are free for bikes!! We are with Emrites which, as we have read, doesn’t charge for bikes. Oh no! That’s more than a ticket! Thankfully we aren’t gong to India. Print what you have for free bike. Yes, we have taken a photo! I am reading your blog on my birthday here in Helena, Alabama. LOVE the story, your pictures and your spirit. An early Merry Christmas and may your travels continue to be blessed…. Thank you, and happy birthday!! One of the best parts of xmas is getting presents of new gear. 😉 Enjoy your new stuff – I’m sure it’ll serve you well! Are you flying to Buenos Aires and then continuing by land toward Central America and the the USA???? We will be going down to Ushuaia, then up to Colombia or so, then, if we have a few weeks, cycling home from San Fran! I’ve just read about water purifying systems, and many write pumps are not so convenient. It takes a lot to pump, it can just stop working, crack, break, regular maintenance is required, and does not “sterilize” water. On the other hand steripen does not filter particles. So why don’t you use steripen with its pre-filter? ( https://www.youtube.com/watch?v=9DMmfWuvxgI&t=4m37s ) Or pumps are better for that trail? Drop handlebars are great, the only problem is for me my hands are so small I can’t reach the normal breaks, and therefore use small ones which are hard to handle on large downhills since they are so dose together. I’ll see how I like them though, I’ve heard mixed results! There was a quote like “brakes are for losers” form a downhill champion… (now I can not find the source : ). However I think butterflies are cool, it becomes more and more popular, especially among touring cyclists. And the wider the handlebars (and brake mounting positions! ), the better will be the control on trails. 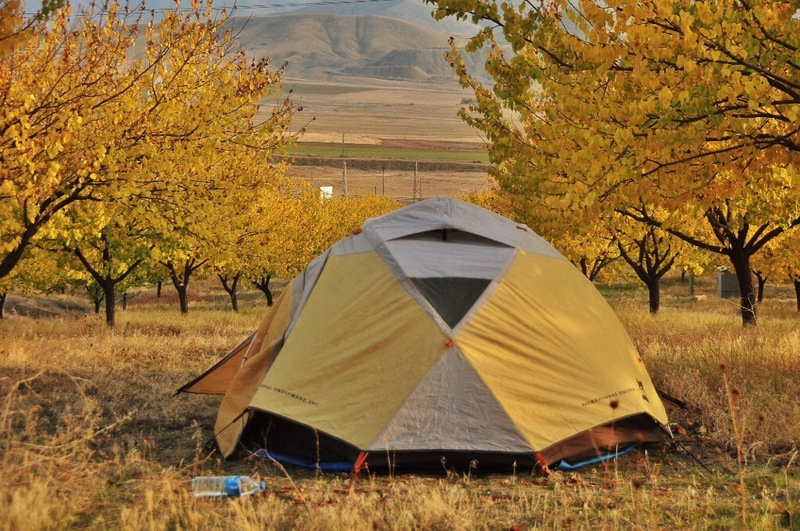 As I see you put together the perfect gear for touring, I can not wait to cycle with you in South Am through your blog! Can you please discribe what experiences you made with the SteriPen and why do you want to replace it? And what a punp will you use unstead? 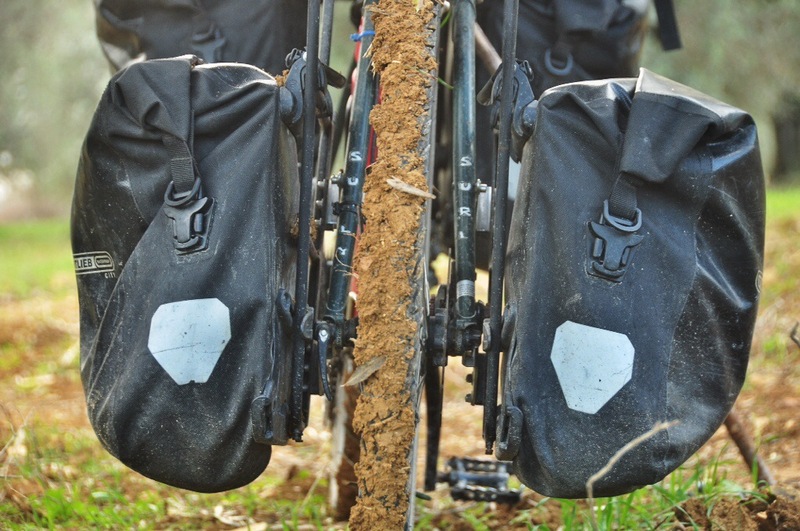 Regarding to the Ortlieb handlebar bags, they have only one large fold without side pockets in or outiside, so everything falls in a muddle. I recommend Rixen & Kaul or VauDe, they have, if not waterproof an additional caoting. The SteriPen has been going through too many batteries, and they are batteries which are very difficult to find in most of the world. I can’t remember what pump is coming, I’ll see when it arrives next week! I’ve read that older Steripen models drained battery even when the device was off. (As a workaround batteries could be put in before use, and after sterilization out, but this is not so convenient.) This issue is mitigated in newer models, and re-chargable ones can also be used. The classic model even use 4 AAs (alkaline or li-ion). However electronic stuff (especially with a CR123 battery) is always a risk on tours. @felixxbln: Putting the additional coating on your handlebar bag in the puring rain (to protect your phone and cam) while you put on your rainclothes can be avoided with a waterproof bag. Yes! It drains like crazy! It’s funny, I had a SteriPen which was amazing, and unfortunately I sold it cause Kevin was bringing his, and little did we know his was so bad with batteries! We will still keep it cause it is nice, but there are times when a filter will be nice (rivers and lakes) since we have all of the time in the world!